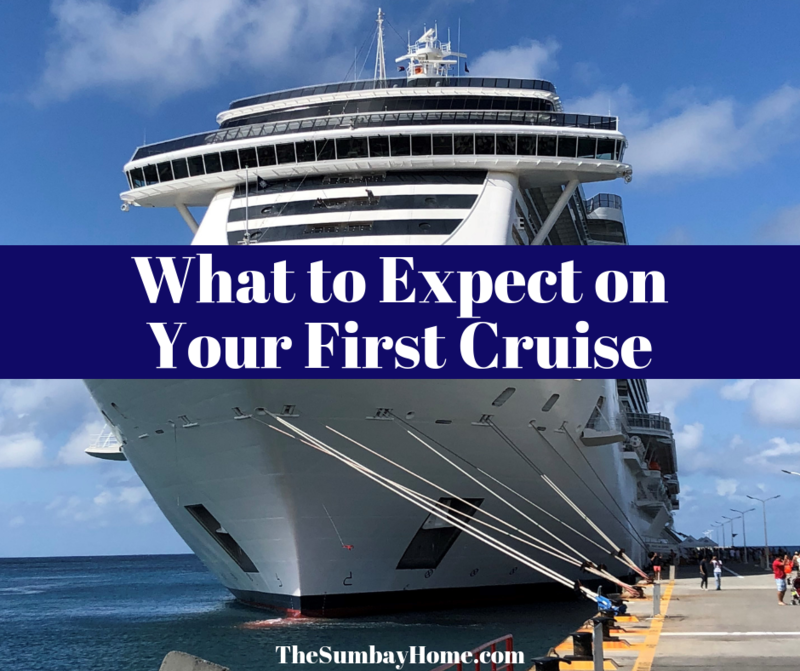 So you booked your first cruise or are thinking about taking one, but not sure what to expect? Don’t worry, we’ll cover all the basics of what it’s like onboard one of these giant floating resorts. You’ll be able to decide if its the right choice for your vacation. I am a firm believer that cruising is for just about anyone, but you decide if its right for you. Cruising can be a great way to vacation and these ships have a lot to offer for everyone. Typically the newer or bigger the cruise ship is, the more it has to offer. Cruise ships are basically giant luxury resorts that travel to different destinations. Once you get on the ship your vacation starts, and the cruise line takes care of the everything else. After booking your cruise, you will have complete an online check-in on the cruise lines website. During the online check-in, you will provide them will all the personal information they will need. Things like your travel documents, preferences, and any restrictions you may have. At the same time, the cruise line will also provide you with a lot of good information about the cruise. This could be a list of FAQ’s or cruise ticket contract. You will want to read this information. On the day of your cruise, I recommend getting to the port early. Find out when your ship allows passengers to start boarding and be there by at least that time at the latest. Most cruise ships leave port around 4 to 5 pm and allow you to start boarding around noon. However, check with your specific cruise line about your ships departure and boarding time. If you are flying in or traveling a long distance, try to get there the night before and stay in a hotel near the port. Sometimes this is not always possible, but remember that things happen. 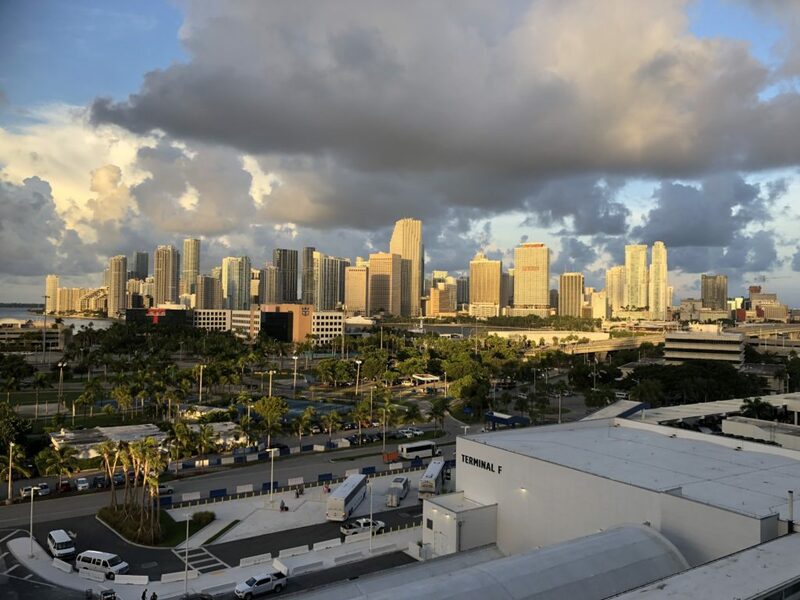 The earlier you get to your cruise departure city the better. The sooner you get to the port, the earlier you get on the ship. You have to realize that once you get on the ship, your cruise vacation starts. So why wouldn’t you want to extend your vacation, even if it’s just for a few hours? Also, the ship is not going to wait for you if you have issues getting to the port, planning to be there earlier will give you some extra time if something comes up. Cruises and travel expenses are usually non-refundable after a certain date before your trip. Unfortunately, the unexpected things come up past that date. Anything can happen, so it’s better to be safe and keep yourself protected. If your flight gets delayed and you miss the ship, you are out that money. If you catch a cold, the cruise line can deny you boarding and your trip will not be refunded. You are going to be confined on a ship, and they have to protect the rest of the passengers from all getting sick. You never know what could come up before your vacation. It’s always a good idea to get travel protection to protect the cost of your trip if something happens. Just be sure to read the details of the protection you purchase before purchasing. I have seen cruise lines in the past that sold travel protection that didn’t really cover a thing. This is probably my least favorite part of cruising, but it is necessary for safety reasons. I wouldn’t mind it if we didn’t cruise as much as we do. A muster drill is a mandatory safety requirement that all cruise passengers must complete before the ship sets sail. This happens on the first day of the cruise, once all passengers are onboard, and before the ship leaves its starting port. During the drill, the ship will sound the alarm for an emergency. At this point, all passengers are required to report to their muster station (noted on your room key) and check-in. Once all passengers are accounted for, the crew will go through the steps you will need to follow in the case of an emergency. They will tell you where to go, how to use life vests, and what to look for if something were to happen. Keep in mind that all cruise lines are required to perform this safety drill before setting sail. In the unlikely event of an emergency, you will be prepared and know exactly what to do. Crew members will guide you to your station, you will just need to show them your room key. If it’s your first time on a cruise ship you’re definitely going to want to watch the ship set sail and leave port. We have been on countless cruises and still enjoy watching the ship leave every port. It’s a sight to remember. So get to the top deck of the ship and enjoy the views. Most cruise lines also have Set Sail party’s on the pool decks to celebrate the start of your voyage. Each day you will receive a cruise compass in your stateroom. This 2/4 page guide will tell you EVERYTHING you need to know on the cruise ship. It will include all activities onboard the ship and will tell you the hours that everything in open. You can go to the food section and see what restaurants are open, at what time, and if they are free or paid dining options. Don’t know what to do, grab the cruise compass and you will be sure to find something you’ll want to do onboard. The compass also gives your important information about the ports and time changes. Make sure to at least take a look at the compass each day. Your room steward will leave the cruise compass in your stateroom the night before, and give you a chance to see what’s going on before the day begins. When you are on a cruise ship, the food is included. There are a few exceptions, but we will discuss those in a moment. One of the best things about taking a cruise is that almost everything is included. You pay for your cruise, and your room (accommodation) is covered, your food (mostly) is included, and travel (from port to port) is included. It is almost like an all-inclusive resort that travels to different destinations. If all-inclusive is what you want, they have you covered. Almost all cruise lines these days offer all-inclusive beverage packages as well as some sort of specialty dining packages as well. All cruise ships have multiple food and dining options that are already included in your cruise fare. You can very easily go the entire cruise without spending a penny on food, we usually do. The ships have a massive buffet that is available for breakfast, lunch, and dinner. They also have the main dining room(s) that are open for almost every meal. Normally, we eat all of our meals within these two places, with no shortage of options to satisfy your appetite. Depending on the ship, most of them include other food options. Some are paid, while others are included in your cruise. Every ship is different, so it’s hard to say what might be included without looking up the ship. 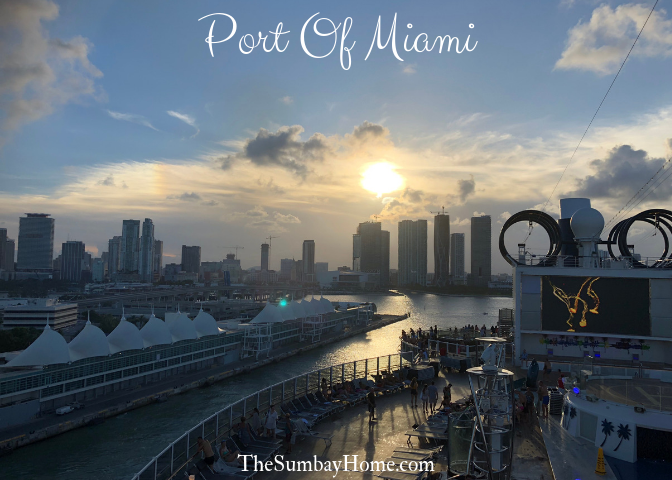 However, after completing your online check-in on the cruise lines website, they will provide you with tons of information regarding your cruise including the dining options. They will list what dining options are included and which ones have an upcharge. Every ship is different, but most include a pizza place and a sandwich shop with cold appetizers if you’re in a rush. Room service is usually free but might have a $3 or $4 service fee for late nights (after midnight or later). Just don’t expect to get your room service immediately, if you are extremely hungry you might be better off going to the late night food option onboard. Room service can take 45 minutes to an hour depending on the time of day you order. For breakfast, you can fill out a card in your room and hang it on your door at night. Then your breakfast will be delivered at your selected time the following morning. Most cruise ships offer some sort of specialty dining onboard their ships. These specialty restaurants have a small upcharge but are usually worth it. You might be thinking if the food is free, why would I go to a specialty restaurant where I have to pay? Well, you don’t have to, but if you are curious they are there. The free dining on cruise ships is great, but the specialty restaurants are usually on a different level. Check out the menus and if something catches your attention feel free to check it out, the prices should be very reasonable for what you are getting. You can make your cruise all-inclusive by purchasing a beverage package. Yes, it does cost a little more. Around $50 per person per day, but depending on how much you plan on drinking it could be worth it. If you don’t drink alcohol, they even have all-inclusive soda or water packages. So you get to purchase what suits your needs. If you don’t plan on doing much besides relaxing on your cruise, consider a beverage package. The average drink is about $10 on a cruise, so 5 drinks throughout a day can pass by if you’re not doing much else. A few drinks by the pool, a glass or two of wine with dinner, and a cocktail after dinner, you spent as much as the package costs. One of the main reasons I always recommend a beverage package is because it allows you to try new drinks. Many people have not tried a variety of different cocktails, so they don’t even know what they like. Having a beverage package allows you to try whatever you want. The best part is you are not spending $10 on something different each time and taking the chance of not liking it. You can just get rid of it and order a different drink. You should bring The Little Black Book of Cocktails with you for drink suggestions. It’s small enough to fit in your pocket. If the bartender does not know how to make the drink, just show them the book (it has the recipe). When you check in at the port and get your room key, they will link it to your credit card. Cash is not really used onboard except for a few exceptions. So your room key is everything, don’t lose it. You can pick up a lanyard to bring with you and help keep track of your key card at all times. Just be sure you can easily take the card out because you might need it open your stateroom or make a purchase onboard. You will have to use cash if you visit the casino or decide to tip someone that provided you with great service. Some casinos allow you to pull cash out from your room key either directly onto a slot machine or at the casino cashier. Cruise ships also have ATM’s on board, but using the casino to get cash out can usually save you money. They typically don’t charge as much because they expect you to use that money in the casino. The bars, restaurants, and shops onboard don’t usually take cash. You will need to make your purchase on your room key and pay it off at the end of the cruise. If you don’t want your charges to go on your credit card, you can stop by Guest Services and settle your bill. Just don’t wait till the last day, otherwise, you might be in line for hours. Check out our Guide to Tipping on a Cruise Ship if your not sure how that works. Cruise ships are great, they are giant luxury resorts. However, the reality is that space is limited, so the staterooms tend to be a little small. That being said, the majority of people don’t spend that much time in their cabin so it’s not a big deal. There are so many things to do onboard, that most people use their rooms for sleeping and getting ready. I just want to make sure you are not shocked when you see your stateroom for the first time. They are nice but small. If you want a bigger stateroom, they have them, but it’s going to cost you. Interior, oceanview, and balcony staterooms are all usually about the same size. The balcony will give you more space, but that space will be outside. If you want a larger cabin you will usually have to look at a Junior Suite or higher, or a large family room. Just read the description of the room size on the cruise lines website, it should give you the square footage. We have had a junior suite that was double the size of a standard cabin, and we have also had one that was the same size and just included a tub. Find out what you are getting before spending more money on a higher priced cabin. The interior rooms are rooms that face the inside of the ship and don’t usually have windows. Oceanview staterooms are typically the same room but on the outside of the ship, with a window. A balcony cabin will provide you with an amazing view and your own private balcony. When it comes to suites each cruise line is different. Junior suites can be bigger rooms or just include some added perks. Once you select your ship the cruise lines website will give you the details about the different staterooms they have to offer. If you can’t decide or have some questions about staterooms or anything else, feel free to call the cruise line or speak with a travel agent. They will be happy to answer all of your questions. Don’t be afraid to shop around for prices either, some travel agents can offer you deals that are not advertised or that others might not have access to. Excursions are a great way to see a new place or have a new experience. Once onboard you will get a shore excursion guide left in your room that shows what they have to offer. We have done everything from river tubing, speedboat rentals, to city tours. Whatever you feel like doing, they should have something that you will like. To protect our stuff we always bring a Dry Bag and Waterproof Phone Cases with us on excursions. Booking a shore excursion through the cruise line is your safest bet. It will cost you a little more, but its worth it for peace of mind to us. Most cruise lines will guarantee not to leave you behind if you are late returning to the ship while on one of their shore excursions. If you try to save a little bit of money, and something goes wrong, you might be left in trouble. You don’t have to do an excursion to see the port. Once the ship is docked you can get off and explore without going too far. There is usually a shopping area and sometimes a beach in walking distance of the port. Another option is to take a bus or cab to a nearby place you would like to check out. Just try to stay with other travelers if you don’t know where you are going. Yes, entertainment is included in your cruise. Most major cruise lines offer many different shows during your cruise for your entertainment. Some of these might include Broadway shows, musicals, comedy, and magic shows. Most are kid-friendly, some are adults only (like late night comedy). All in all, there’s something for everyone, and they can entertain you every night of the cruise. Check out the cruise compass onboard for all the entertainment during your cruise. During your cruise, you will have many crew members working very hard to make your vacation better. The cruise line will charge you a “service charge” daily per person to your onboard account. This service charge is the gratuities for the crew members that serve you. If you want to know more about tipping or this service charge, click here. Cruising is a great and affordable way to vacation. But when you see advertised cruise prices, they don’t include everything you will have to pay for during your trip. Click here to find out what other expenses you can expect to incur during your cruise. Here you can find out more about taxes & port fee’s, gratuities, and parking, etc. Once you pay for all of these things above and get on the ship, for the most part, everything is included. With the exception of drinks, but you can purchase a soda or beverage package that would include all of those as well. Heres what I mean as kinda all inclusive. If you booked your cruise and purchased a beverage package, the cruise is all-inclusive. However, there are some things that the ship offers at a small upcharge to make your experience even better. Specialty restaurants are a perfect example of this. The free dining on a cruise ship is great, but cruise lines have more to offer as well. So for a small upcharge, you can have a much better meal (and level of service) from a specialty restaurant. The type of restaurant and pricing is different for every cruise line, but here are some examples. On board one of our cruises, we went to a specialty Italian restaurant one evening. I ordered lasagna and it was one of the best things that I have eaten in my entire life. That was two years ago and I still remember how amazing that meal was. I know lasagna, I’m not sure what made it so much better, but it was! That restaurant had a $20 upcharge per person, and I would say it was well worth it. But here’s the thing with specialty restaurants on a cruise ship. Your cruise fare already includes the price of your food for each meal. So they take that into account when pricing their specialty dining. If you went to an upscale Italian restaurant anywhere else, you would end up paying at least $40 or $50 per person for that same meal. Add a few glasses of wine and the price keeps going up, but if you have a beverage package on the ship those are included too. That’s why they call this an upcharge and not a paid restaurant onboard. Is there anything still holding you back? We hope this inticed you make the leap and take your first cruise, you will love it! Is there anything holding you back from going on one? Let us know in the comments below.